I take it you probably haven’t had Bananas Foster then? (http://www.foodnetwork.com/recipes/alton-brown/bananas-foster-recipe/index.html) An excellent banana/caramel combination. Is it wrong my mouth’s watering at the julep? I mean, I’m familiar with the concept of bananas foster, but in fact I have never tried it. I do quite enjoy cherries jubilee. This sounds like a party drink. For some reason I’m imagining a julep for the winter, not necessarily for the holiday season, but a cozy, frigid deliciousness. 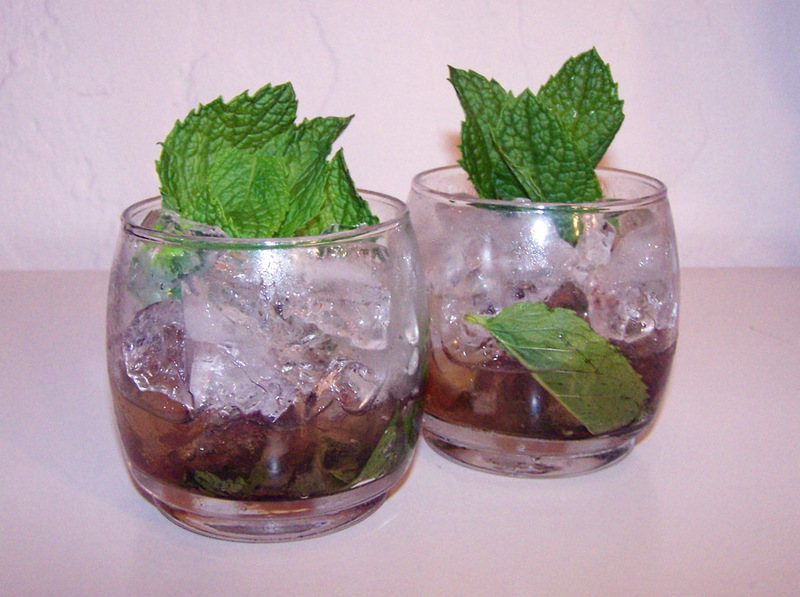 I cannot get horse racing out of the idea of juleps. Nevertheless, if I must think of winter horse racing when I drink this – I spose I also must “handicap accordingly” upon each refill. Great drink!